I attended Macalister College in St Paul Minnesota (73-75), and then Minneapolis College of Art and Design (MCAD) (75-78 …BFA). I moved to NYC in 1979 where I attended the MFA program at Hunter College. I graduated in 1984. I moved with my family to New Zealand in 1995. We became citizens of New Zealand in 1998. I first used video as a virtual tool with 3D Studio digital software to visualize public art commission with animated “flyovers” in the late 90’s. I soon began experimenting with other animation capabilities of the software. I later added actual footage to the digital animations. I have lately focused more on straight video – with fewer effects and animations. 3. How do you develop your films, do you follow certain principles, styles etc? I am intrigued by the intersection of virtual and physical sculpture and the juncture of animation and captured video. The structure of the videos is often initially randomly conceived, though some sort of logic reveals itself to be with the editing process. My concepts evolve intuitively. 4. What was the reason to start your film included in Shoah Film Collection. Tell me the story behind your film? Why did you choose the given form of representation? 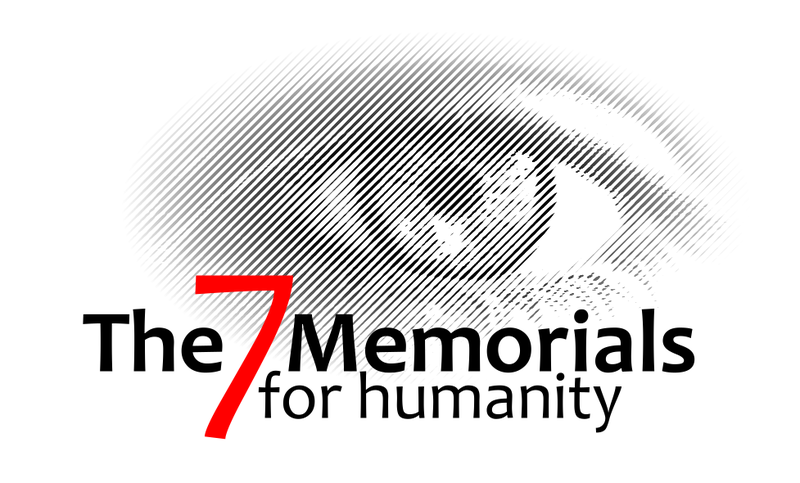 Is your film included in Shoah Film Collection the first one dealing with the Holocaust? Kafka’s Sisters is the first artwork of mine involved with the Holocaust. 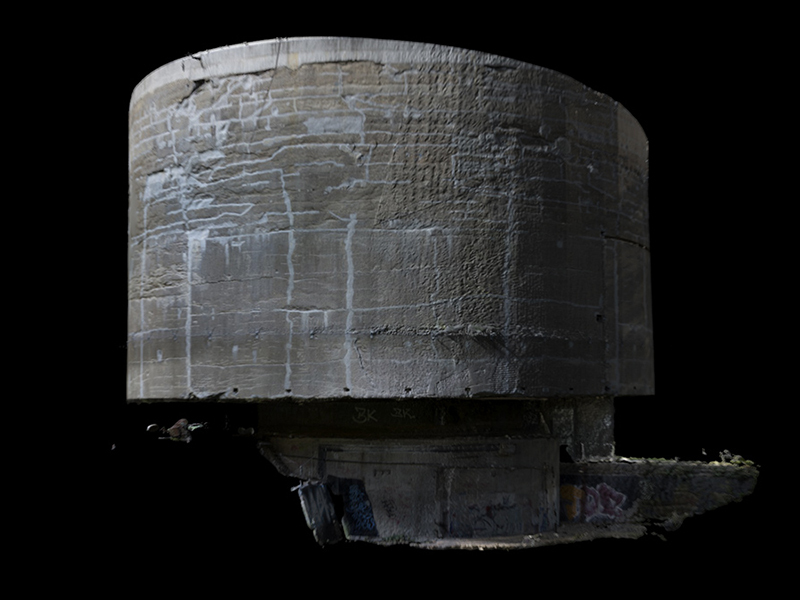 I have been working on both video and sculpture made with 3D photogrammetry scanning of contentious and abject monuments and structures in the last few years. (Photogrammetry means placing approximately 30-100 or more photographs of different point so view of an object or building into software, which in turn produces 3d meshes for animation or 3d printing.) I also became fascinated with Prague and Kafka after a visit to the city in 2014. Additionally I have been mildly obsessed with Auschwitz for years. Although almost taboo for gentiles, it fit into my on-going series of totalitarian architecture. The Holocaust hopefully was the last breath of intense human barbarity that peaked during the middle ages. I have several older friends who have had relatives killed during the Holocaust. The Holocaust was the ultimate form of rationally justified evil – rationalized with similar false “facts” that have led to the new resurgence of the far right. Unfortunately there has been an upsurge of Neo Nazi xenophobia around the world emboldened by Trump that coincides with the rise of the European far right. (Albeit, while the European far right are right wing socially, generally unlike the USA, they continue with left economic policies, often as a foil to the neo-liberalism that helped give birth to them.) Internationalism and solidarity have been falling to tribal hatred in many quarters. Constant vigilance in calling out the ugly bigotry being disseminated reflected in the arts and exposed with good journalism is the only way forward. 8. As a phenomenon, the Holocaust is blasting human imagination, which makes it nearly impossible for people to identify themselves with. What needs to be done, that people may find ways for self-identifying? What can do art for it? Only art can create catharsis. 9. After the Holocaust and World War II, the traditional (static) visual art media were failing in transferring the memory of the Holocaust, while literature, theatre, music and film were much more successful. On the other hand, due to the new technologies, the boundaries between the “arts” dissolve nowadays and the doors are open to a new interdisciplinary approach. What are the chances for this new (interdisciplinary) perception based on socializing concepts for keeping vivid the memory of the Holocaust? In which way have they influenced the manifestations of Shoah Film Collection via the interventions like a symposium, artists meetings, workshops, exhibitions, performances, screenings, artists talks, discussions etc. It all opens up discussion on an almost taboo subject. My practice has been utilizing concepts relating to, and structures resulting from the collective trauma caused by totalitarianism for many years. I plan to continue. Can works of yours viewed online besides on the Shoah Film Collection?